His passion for cinema made him consider three possibilities in Europe to learn filmmaking. Cinecitta – but it was for observers only. Łódź Film School, but you had to learn Polish for one year, then 2 years theory and then you got to practice. He was far too petulant for that. IDHEC, now known as La Femis French National Film School. Off he went, to live the Rive Gauche bohemian life, which no doubt was a great training for future hardship as a filmmaker. After the course he remained in Paris and got involved with the Nouvelle Vague at a time when a major debate was taking place: Is there such a thing as authored cinema and can it be the 7th art, when it is produced with machines and a team of people? Missing speaking Portuguese and not being able to return to Mozambique, he finally decided to migrate to Brazil in '58, passing from Nouvelle Vague to Cinema Novo, a group of Brazilian filmmakers trying to break with tradition in search of a new Brazilian identity, beyond football and Samba. This radical, political cinema became a movement but was stopped in its tracks by the violent military dictatorship when they came to power in '64, and stayed there for the next 20 years. In 1975, when Mozambique became independent, he was able to return to his native country and offered to help in the creation of Mozambican cinema. He played an important role in training young filmmakers and setting up a popular network for distributing and showing films. In order to support film production in Mozambique he created Kanemo. He brought in prominent figures from the international world of film to collaborate with the National Cinema Institute. Ruy Guerra is better known internationally for his fiction but while he was in Mozambique he produced many documentaries. His work, regardless if it is fiction or documentary, is imbued with visual poetry. The slow pacing allows the viewer to soak in every detail of the image and characteristics of the characters. His artistic output is marked by a close link between reality and fiction. 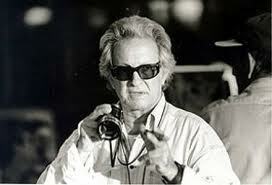 His two films that have won the most awards Os Fuzis and A Queda, are probably the highest achievement of his vision of cinema. It was such pity that most people who turned up to listen to him were mainly of his own generation, when he has so much to share with the up and coming filmmakers. Did the political will not just leave the government but also an entire new generation?